A wine’s distinguishing features arise from the must it is made from. The latter’s analytical monitoring during the pre-fermentation phase is an essential requisite to obtain a high quality wine. Total acidity, pH, sugar content, volatile acidity are just some of the tests that allow an accurate analytical monitoring of wine must, both before and during the alcoholic fermentation phase. These weather conditions affect the wine-making process and require a more careful monitoring of the must’s analytical parameters. 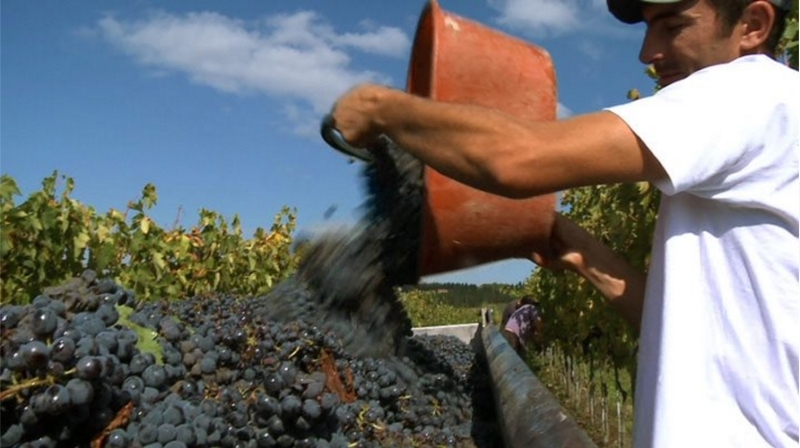 When the weather is hot or dry, organic nitrogen is used by the plant for its own metabolism, and therefore a lower quantity than usual is left in the must from grapes harvested in these conditions. It is therefore of paramount importance to accurately assess the actual concentration of Yeast assimilable nitrogen (YAN), both in terms of organic and inorganic (ammonia and ammonium ion) nitrogen, to best handle yeast nutrition and ensure the correct development of alcoholic fermentation. It is also important to assess the YAN values on site, since these values vary with time and the results from samples sent to a laboratory might not be significant or useful for an optimal fermentation management upon delivery. Unfortunately, the traditional method for YAN analysis is not practical in a winery because of its complexity and the need to employ toxic chemicals. Using CDR WineLab® it is possible to perform a YAN analysis in five minutes with great ease, thus getting precise results in real time and being able to accurately determine the quantity of nutrients that needs to be added. Furthermore, YAN testing with CDR WineLab® allows to accurately and separately assay the two sources of Yeast Assimilable Nitrogen, namely inorganic nitrogen (ammonia and ammonium ion) and organic nitrogen (free amino nitrogen) excluding proline and hydroxyproline, two aminoacids that yeast cannot metabolize. In cool, rainy years (e.g. 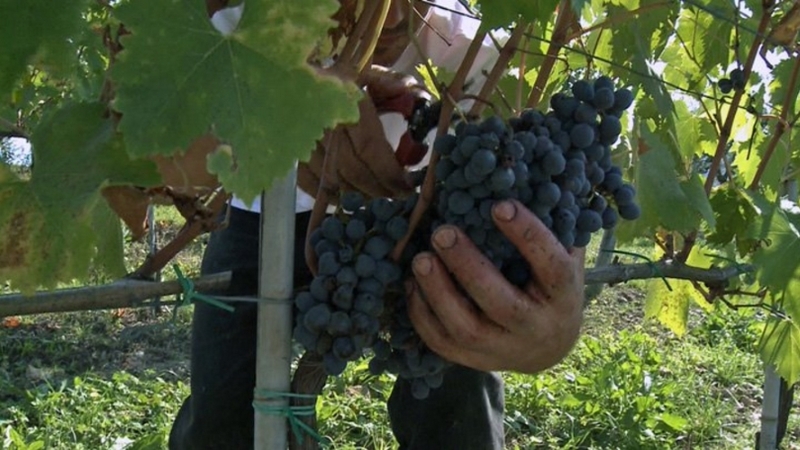 2014 vintage), one of the most frequent problems encountered was the development of gray mold on the grapes. Musts derived from fungus-contaminated grapes accumulate a considerable concentration of gluconic acid, deriving from glucose oxidation by the fungus enzymatic complexes. This compound, in turn, can heavily compromise the must healthy state, since it possesses a considerable binding capability towards sulfur dioxide, thereby depleting its free fraction and putting the must, and the wine to be, at risk from both a microbiological and an oxidative standpoint. This is why when the vintage year is cool and rainy it is of vital importance to quickly determine the actual gluconic acid content. In addition to an increase in the gluconic acid concentration, the must derived from gray mold affected grapes exhibits also a decreased concentration of sugars and total acidity, mainly affecting the tartaric and malic acid component. A marked depletion of the latter component may then impair the proper activation of the malolactic fermentation stage in red wines. The L-malic acid assay, performed on the must in the pre-fermentation stage, allows a much more accurate and safe management of the ensuing vinification process. CDR WineLab® allows to perform a reliable gluconic acid assay in 5 minutes and to determine the healthy state of the must, in order to quickly set up the fermentation protocol most suitable for the achievement of an optimum quality product. Accurate assays of YAN, gluconic acid and L-malic acid in the must are of paramount importance to achieve an optimum quality of the end product. By using CDR WineLab®, all these tests can be performed in as little as 5 minutes, with ease and with no need of chemistry or specific technical skills. Moreover, CDR WineLab® can perform a whole panel of analyses to accurately assess the whole vinification process in its entirety, straight in the winery. Must analyses in rainy or dry grape harvests – CDR WineLab® was last modified: August 28th, 2018 by CDR s.r.l.